Are you up for the challenge? Start with one pushup or site-up on day one, and then add one every day. 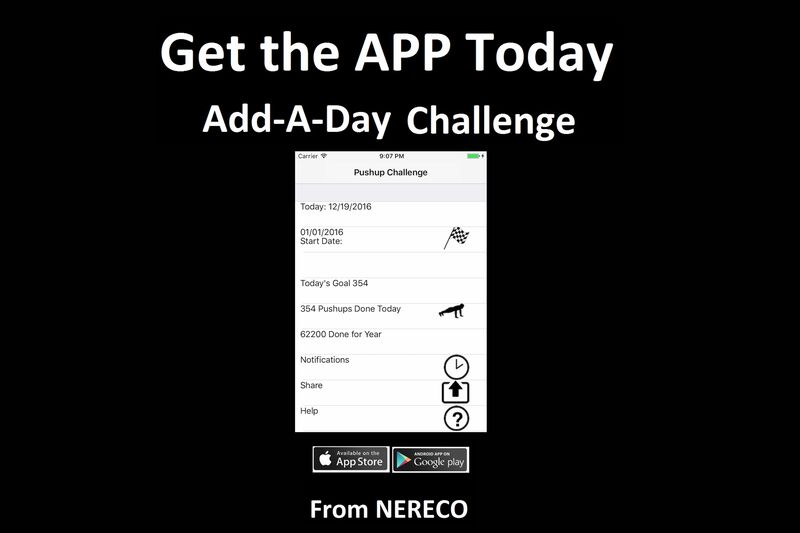 The Add-A-Day Pushup Challenge or The Add-A-Day Situp Challenge is an app that will track your progress. You will be amazed of how many pushups or situps you can do in a year. The Add-A-Day Pushup Challenge or The Add-A-Day Situp Challenge App will allow you to share your progress with your friends and the world. Get the app today on iTunes or Google Play.